... make different sized bags. 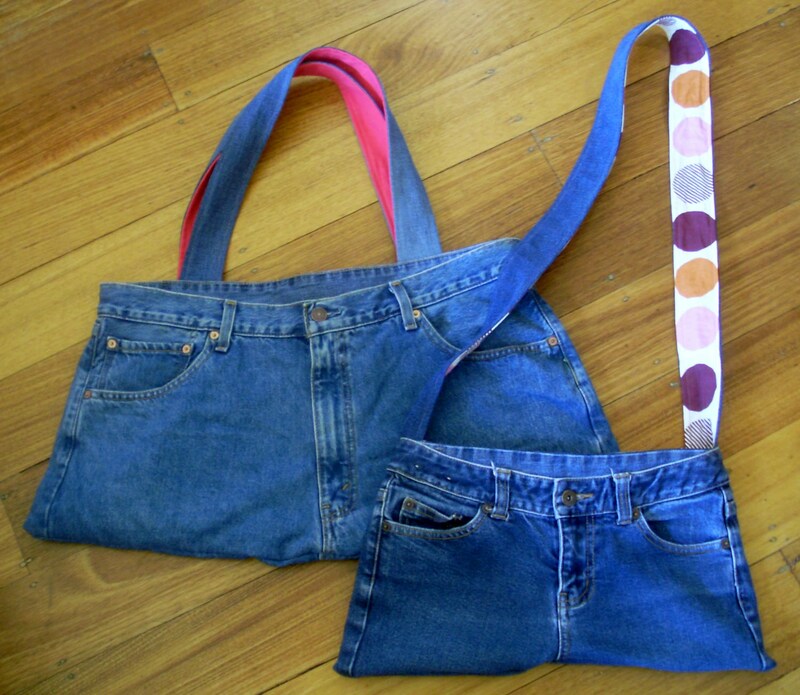 My old jeans would make a super duper hold-all type bag! I just threw out 4 pairs...should have given them to you! very clever and fantastic recylcling! just commenting cause a title like 'different size bums' deserves a comment! I think mine would be a travel bag. ha! you crack me up- opps - pardon the pun! You always need a big bag. See how useful a big bum can be! Such a great recycling idea and they look great too. I could recycle the "never fit into again" jeans. Good recycling. Great - I think my size would make a beach bag! Very cute in the two different sizes!